Tofi Stoler and Dotan Levy : 2018-12-06T17:58:02..
For decades, Jerusalem, the official capital of Israel, has been lagging behind its younger sister Tel Aviv, considered the country's business and culture capital. Several ambitious projects currently underway aim to make Jerusalem, one of the world’s oldest cities, more attractive to young professionals and companies. Some of these flagship projects are plagued with logistical difficulties. 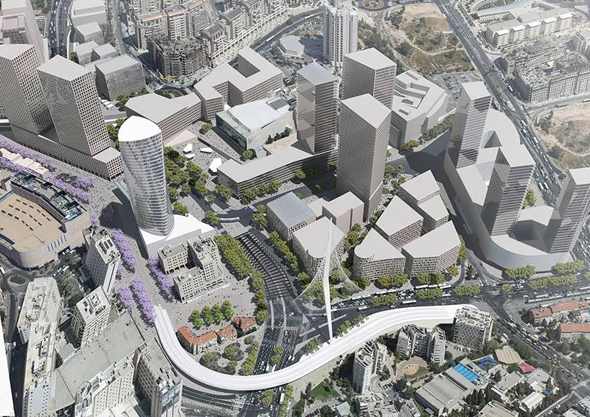 On Wednesday, the Israel Land Authority and the city of Jerusalem issued a tender for the first two buildings in an ambitious construction project that will see the city’s western entrance renovated. The project includes a new business quarter, complete with a transportation hub. Work on the project began in March and is expected to take up to five years, meanwhile clogging the already congested roads leading to and from the city. The winning bidder in the tender will receive building rights on a property of about 100,000 square meters, to erect two high rises designed for industry, commerce, leisure, and co-living projects. Spanning over about 300,000 square meters, the city entrance project is expected to cost about NIS 1.5 billion (approximately $435 million). The plan includes 24 towers, with about 1.6 million square meters to be used for office space, hotels, housing units, and commerce facilities. 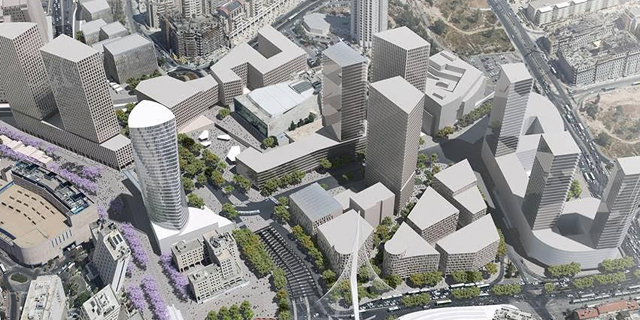 The project aims to facilitate the growing demand for office space and jobs in Jerusalem. The creation of new jobs is part of the city’s overall plan to keep its younger population from migrating to other urban centers, Moshe Lion, the Mayor of Jerusalem, said in a statement. Lion was elected mayor in November in a runoff municipal election against liberal candidate Ofer Berkovitch. Lion replaced Nir Barkat, a former tech entrepreneur and venture capitalist, who in March, after 10 years in office, announced he would not be running for a third five-year term. Fully endorsed by Lion, the city entrance plan was part of Barkat’s long-running policy of bringing new businesses to Israel’s most populous city. As of 2015, Jerusalem had 900,000 residents, according to Israel’s Central Bureau of Statistics. Home to large Arab and ultra-orthodox (Haredi) populations, two minority groups traditionally suffering from lower rates of academically educated and well-paid workers, Jerusalem is also one of the poorest cities in the country. The city entrance plan also includes underground parking for 1,300 cars and a transportation hub that facilitates three light rail lines—only one of which is already in operation— as well as dedicated lanes for private and public vehicles. The project is also meant to facilitate a station for the Jerusalem express train, which is yet to be complete but was launched as a partial route in September. The fully electric train was originally approved by the Israeli government in 2001 and was meant to connect Jerusalem and Tel Aviv in just 28 minutes, replacing the only existing train between the two cities, which takes about 90 minutes to complete its course. For now, the train, leaving from Jerusalem’s Yitzhak Navon station, only gets as far as Ben Gurion International Airport, 19 kilometers southeast of Tel Aviv. 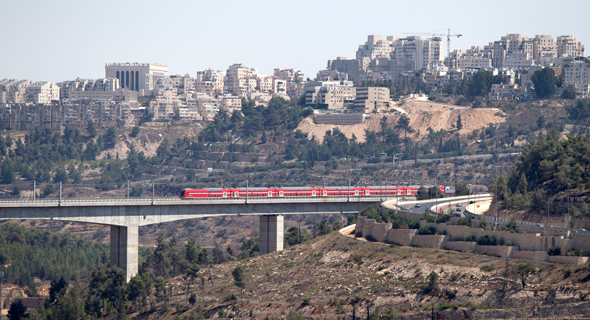 The route, which has been plagued by malfunctions and interruptions of service since its launch, is expected to reach Tel Aviv by early 2019, 11 years past its original due date, Karen Turner, the general director of Israel’s Ministry of Transport, said in a November interview with Israeli news website Ynet. Earlier this week, one of Jerusalem’s few tech success stories, automotive technology company Mobileye, acquired by Intel in 2017 for $15.3 billion, announced it was moving on with plans to construct a new campus in the city’s Har Hotzvim High-Tech Park. Mobileye has signed a deal with Israeli building contractor Afcon Construction Ltd. to plan and construct the campus. Mobileye will pay Afcon about NIS 950 million (approximately $254.6 million) for the execution of the project that will include about 135,000 square meters of space and house all of the company’s global operations, including its headquarters and its research and development labs. Mobileye plans to employ 2,500 people out of the new campus. Construction is scheduled to begin in March, with a planned completion date of October 2022.